History books often weave tales of rising and falling empires, royal dynasties, and wars among powerful nations. Here, Maksudyan succeeds in making those who are farthest removed from power the lead actors in this history.Focusing on orphans and destitute youth of the late Ottoman Empire, the author gives voice to those children who have long been neglected. 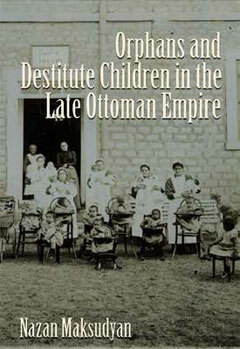 Their experiences and perspectives shed new light on many significant developments of the late Ottoman period, providing an alternative narrative that recognizes children as historical agents. Maksudyan takes the reader from the intimate world of infant foundlings to the larger international context of missionary orphanages, all while focusing on Ottoman modernization, urbanization, citizenship, and the maintenance of order and security. Drawing upon archival records, she explores the ways in which the treatment of orphans intersected with welfare, labor, and state building in the Empire. Throughout the book, she does not lose sight of her lead actors, and the influence of the children is always present if we simply listen and notice carefully as Maksudyan so convincingly argues.